If you’d like to download and update Intel HD Graphics 530 driver, you can easily update the driver by following the steps below. There are two ways to update the driver. Read on to find out an easy way for you. 1) Go to Intel Downloads Center. 2) Type Intel HD Graphics 530 into the Search box, then press the Enter key on your keyboard. 3) Select the correct system version. For example, if your PC is running Windows 10 64-bit, select Windows 10, 64-bit. 4) You can identify the latest driver version according to the Date. The first result would always be the latest version. 5) Click the .zip or .exe file to download the driver. 6) If the the file is in zip format, unzip the file first then double-click on the file and follow the on-screen instructions to install the driver. If the file is in exe format, just double-click on the file then follow the on-screen instructions to install the driver. 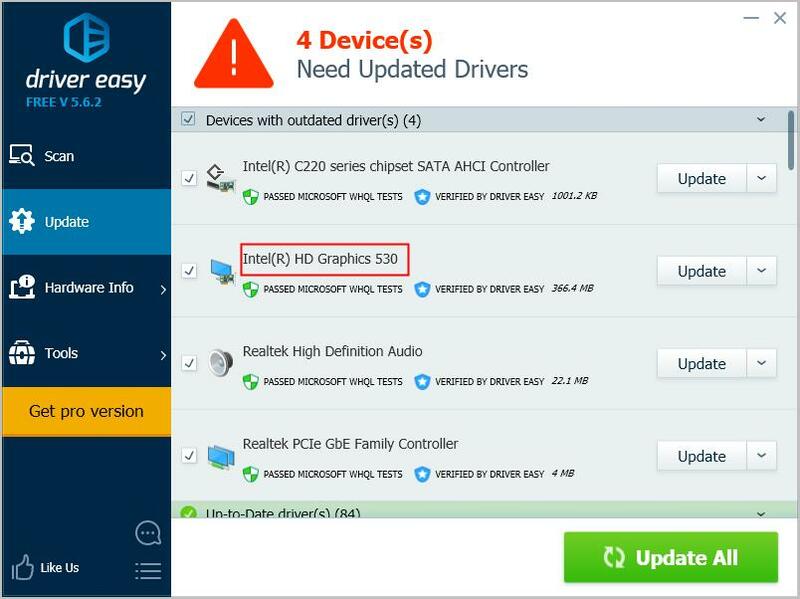 If you don’t have the time, patience or computer skills to download and update the driver manually, you can do it automatically with Driver Easy. 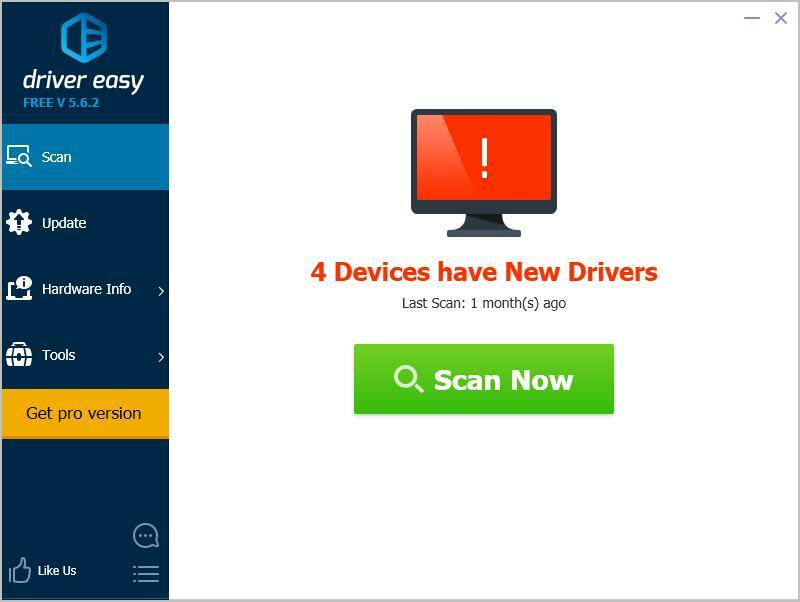 TIP: If you’ve have any questions while using Driver Easy, please feel free to contact our support team at support@drivereasy.com. Our support team would be happy to help you with any issues you have. Please attach the URL of this article so we could assist you better. Hopefully you can download and update the Intel HD Graphics 530 driver easily with the above tips. If you have any ideas or questions, please feel free to leave your comments.